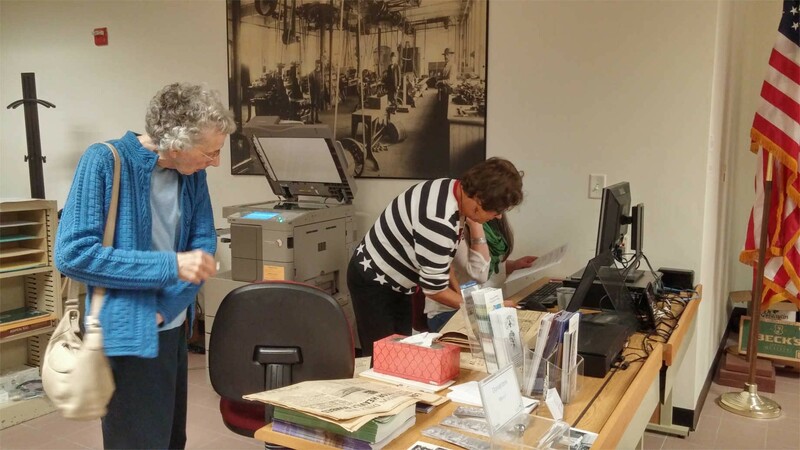 Franco-American Collection volunteers scan archival materials belonging to veterans and their families. The NEH-funded initiative helped the archive digitize more than 420 items, preserving them for future generations. Image courtesy of the Franco-American Collection. In 2017, the Franco-American Collection at the University of Southern Maine’s Lewiston-Auburn College embarked upon a program honoring veterans from the large, local Franco-American community. 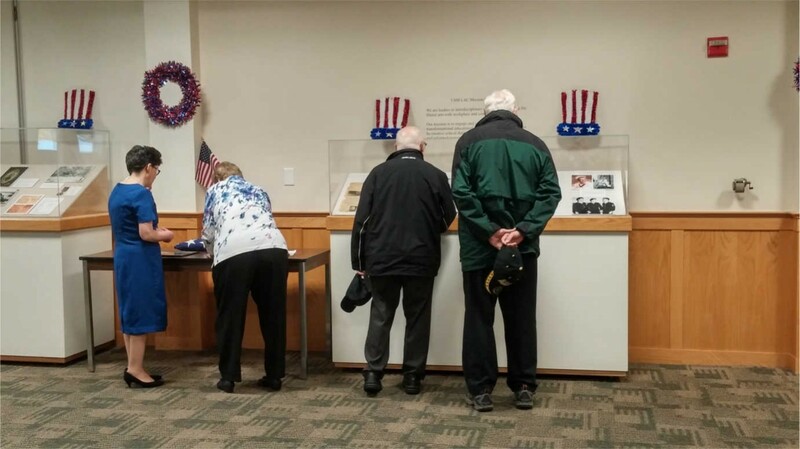 Funded with an NEH grant, the series of events included a digitization day that encouraged veterans and their families to bring in photographs, documents, and film and audio materials. Participants were invited to donate digital copies of their materials to the Franco-American Collection for future research use. Community members view an exhibition showcasing items collected by the Franco-American Collection. Image courtesy of the Franco-American Collection. As a result, the Franco-American Collection gathered a rich array of materials documenting World War I, World War II, Korea, Vietnam, the Cold War, Bosnia, Afghanistan, and Iraq, significantly bolstering its holdings. While being interviewed for an oral history, one WWII veteran recalled sailing into Tokyo Bay and witnessing the devastation there while only a teenager. Veterans from more recent wars brought photographs and other items representing their experiences to the digitization day. 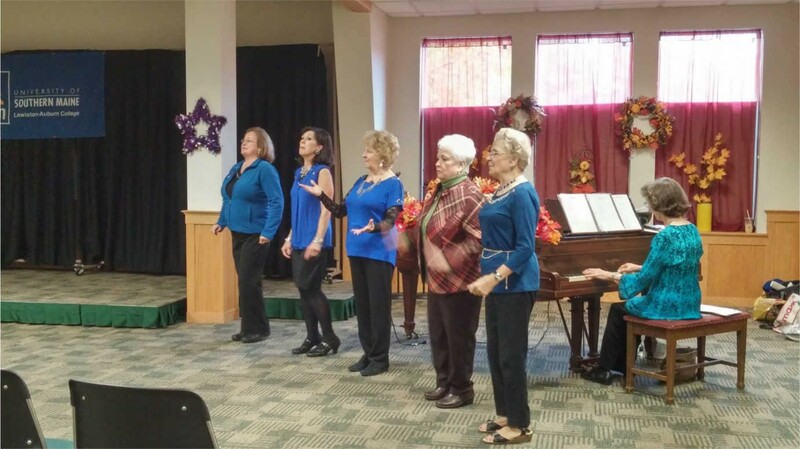 On the whole, these veterans indicated that they felt appreciated and honored by the program; they were glad for the opportunity to tell their stories. A musical ensemble performs at the exhibition opening, which included a discussion led by two veterans. Image courtesy of the Franco-American Collection. All told, the collection digitized more than 420 artifacts and continues to collect donations. Following the digitization days and a series of community lectures exploring the Franco-American experience, the project culminated in an exhibition that showcased many items that had been donated to the collection. The exhibition’s opening included a public discussion led by two Franco-American veterans. It was attended by more than 100 members of the public, including veterans and school groups.